Everyone has been saying that to see Iguazu Falls properly, one has to see it from both the Argentinian and Brazilian side. Mercio, the guy from the travel agency, told me I could do it independently: no driver, no guide, just me and my confidence in steering myself in the right direction towards Parque Nacional do Iguacu, the official name of the Brazilian side of the falls. I`ve got the whole morning to do it before checking out from the hotel midday for another bus ride to Puerto Iguazu, Argentina and then catch the big bus to Buenos Aires later this afternoon. The Urban Bus Terminal is just a few minutes walk from the hotel. A simple "a donde bus para parque de las cataratas?" resulted in helpful fingers pointing me to the right bus. Just a dollar (or 2 reals) was all I needed for the ride that took an hour, this being a local bus that has several stops along the way. To get inside the bus, you pass by this turnstile behind the driver and manned by the conductor who`s seated on an elevated platform. Kind of difficult to get into for most tourists with huge backpacks. I queued at the not-so-long line (yet) in time for the 9 a.m. opening of the ticket counters. In this part of the world, foreigners do have to pay more as the park has a tier pricing for foreigners, Mercosur nationals (organization of South American countries), Brazilians and the cheapest, the residents of Foz du Iguacu. 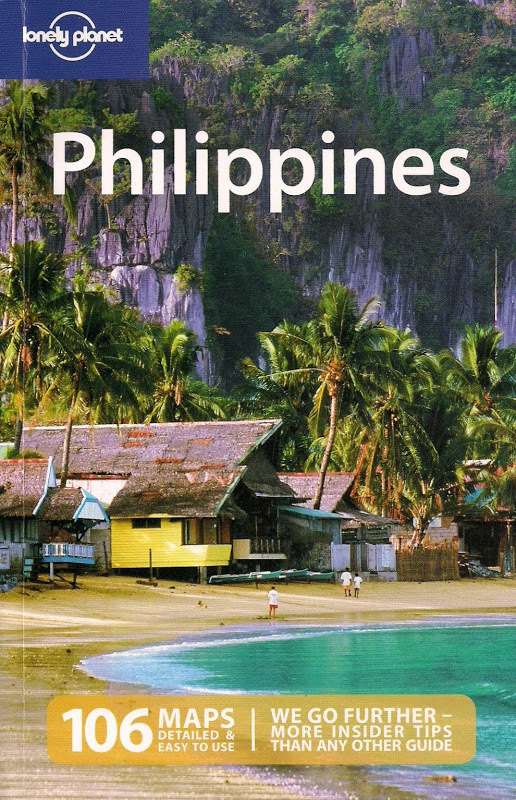 I´m not complaining as this works fine as well for other countries - like the Philippines - to ensure locals are motivated to see their own country´s attractions without having to shell out more money than foreigners who, by the nature of their endeavors, are expected to have the financial means to do so. This Brazilian national park has been a UNESCO World Heritage site since 1986, two years after that of the Argentinian park. Declared as a national park by the Brazilian government back in 1939, there´s quite a different view of the Iguazu Falls as seen from this side. In Argentina, one gets the closer view, whereas in Brazil, one gets a general perspective. In fact, the moment I got myself a vantage point somewhere along the Trilha das Cataratas (Waterfalls Trail), I had to move my head from the left all the way to the right, realizing only then the sheer magnitude of the entire waterfalls that extends more than 2,700 meters! There are 275 cataracts all in all, making it definitely wider than Victoria Falls in Africa and, as I´ve mentioned in my previous blog entry, also higher than Niagara Falls in North America. Today being a Sunday, I´m sharing the view with a crowd of mostly Brazilian visitors. Somehow, I find it odd that I haven`t encountered those huge groups of Koreans, Japanese and lately, Chinese who has also been invading the places I´ve been to (i.e., Macchu Picchu in Peru or Versailles Palace in France). Despite the growing crowd - I´m glad I made it here much earlier - I managed to steer away from them and just reflect at the view or so I thought until I heard that whirring sound. Holy guacamole, a helicopter!!! I checked the park map closely and there indeed it is, a Helisul or Helicopter Tour. I feel strongly against this and I can´t understand why Brazilian park authorities have to allow this when they already have enough revenue from the bazillion tourists who go here - hey, I paid them $10! The noise generated by these helicopters are such that it can affect the wildlife in the forested areas close to the falls. It has also lessened that back-to-nature feeling - at least for me, I don´t know about the other camera-wielding visitors. Hello UNESCO, if someone from you guys is reading this, please do something, like a threat to strip it of its World Heritage title perhaps? The Peruvian government has banned helicopter tours in Macchu Picchu for good after so many complaints so I´m hoping the Brazilian government will do the same. There are still other activities to do in the park - rappelling, rafting, cycling - hmmm, ogling at Brazilian bodies??? - but I had to go back to the hotel and grab my pack. Before stepping out of Foz du Iguacu, I remember I had two other things to do: buy myself that Havaianas slippers I saw in a local store and eat lunch at a Churrascaria. Only one pair of the slippers in my size was available so I got it right away. On the way to the bus terminal, and still close to the hotel I stayed in, I staggered with my backpack into Rosa´s Churrascaria - the midday heat has become so oppressive I looked like I was showering in my own sweat when the young waiter showed me the table. Apparently, this restaurant I got into is something only locals patronize - no other dirty, grungy, sweaty foreigner like me in sight - so I told the waiter what I want - the buffet spread. I was starting with the salad and here comes this parade of cholesterol right before me, one guys comes with a huge skewer of beef - I just nod - another comes with what looks like chicken - I nod - then another brings sausages - I also nod - then yet another guy brings another meat at which point I refused. My stomach just can´t handle more carnivore´s delight. Surprisingly, the bill I paid was ridiculously cheap - including the Diet Coke and bottle of mineral water, the whole feast cost me only 12 reals ($6). Lipitor please!